Complete Electrolytes is a palatable, fully balanced electrolyte that is gentle on the stomach and replaces electrolytes in proportion to the amounts lost during exercise. Sub-optimal electrolyte intake is a frequent cause of poor performance in competition horses. 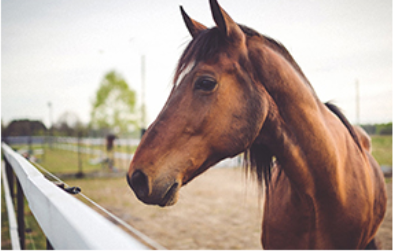 Palatability problems with ordinary electrolytes can limit feed and supplement intake, cause irritation of the stomach and intestine, and has also been shown to irritate or cause gastric ulceration in horses. Containing the 5 key electrolytes sodium, chloride, potassium, calcium and magnesium with MicroencapsulationTechnology means it dissolves in the small intestine where electrolyte uptake is optimal, and is both palatable and gentle on the stomach unlike ordinary electrolytes. The five major electrolytes: sodium, chloride, potassium, calcium and magnesium; are key nutrients required for nerve and muscle function, maintenance of normal hydration and normal function of the digestive system, kidneys, lungs and heart. 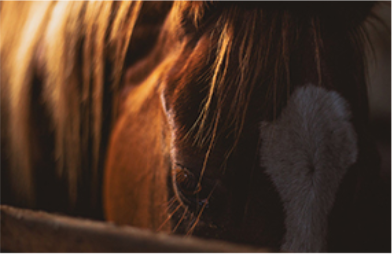 Sub-optimal electrolyte intake can lead to muscle problems and poor performance, therefore horses in work require extra electrolytes to replace those lost in sweat, faeces and urine. The harder the horse works, the hotter the horse gets. The longer a horse works and the warmer the weather, the more sweat and therefore the more electrolytes a horse will lose. One litre of horse sweat contains around 3.5g of sodium, 6g of chloride, 1.2g of potassium and 0.1g of calcium. A horse can easily lose 5 litres of sweat each hour on a normal day at a moderate pace which equates to the loss of around 50g of electrolytes. This amount would not be replaced by the horses' normal daily hay and hard feed alone. The simple answer is to feed every day! 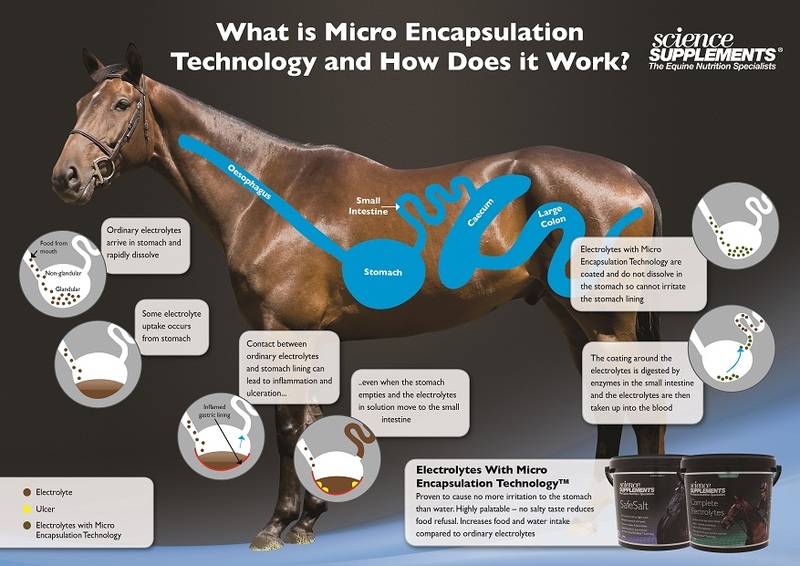 It is common for many horses to only be fed supplemental electrolytes immediately before and during competition. If you feed enough electrolytes during training you will not need to increase the amount in the feed when it comes to a competition. If you don't feed in training and feed only in competition you are asking for trouble. It can take weeks or months, not days, to fully restore the body’s normal electrolyte levels following a month or so of training. Available in a 2kg tub lasting approximately 6 weeks, a 10kg tub for multiple horses or yards and a 60g syringe for use before,during or immediately after exercise. Given regularly and not just during competition helps maintain electrolyte levels, stimulates appetite and encourages drinking.